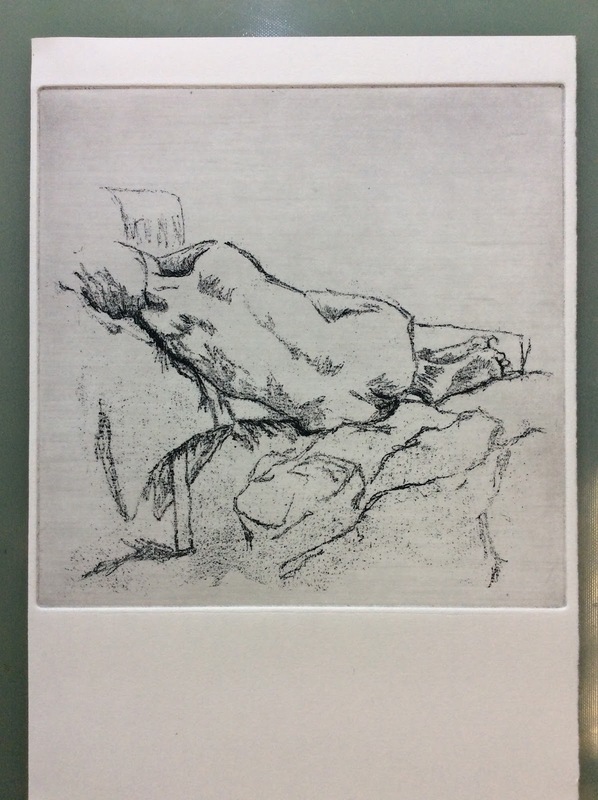 Having decided, in August, to hang up my printmaker's apron to concentrate on painting for the foreseeable, I made an etching this week! 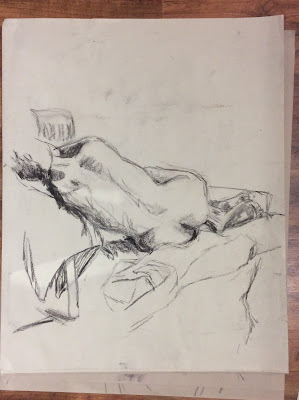 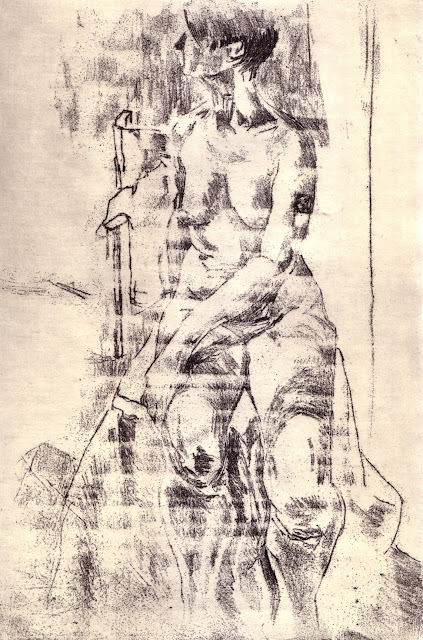 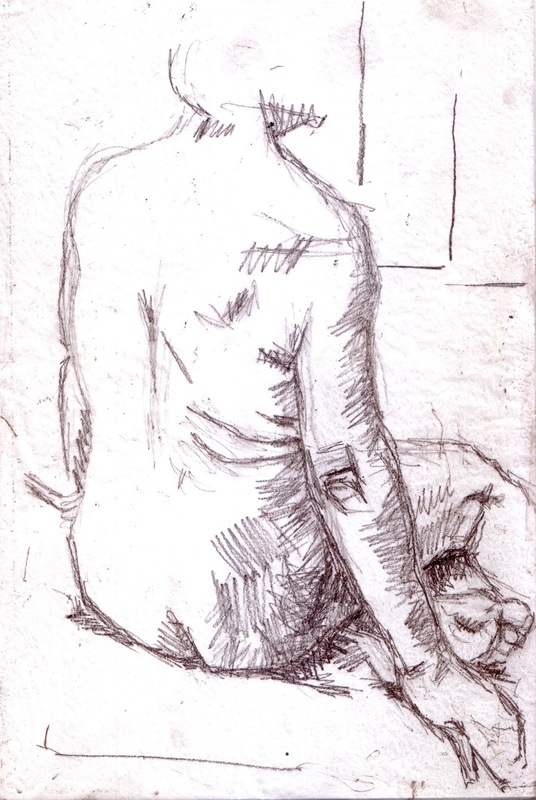 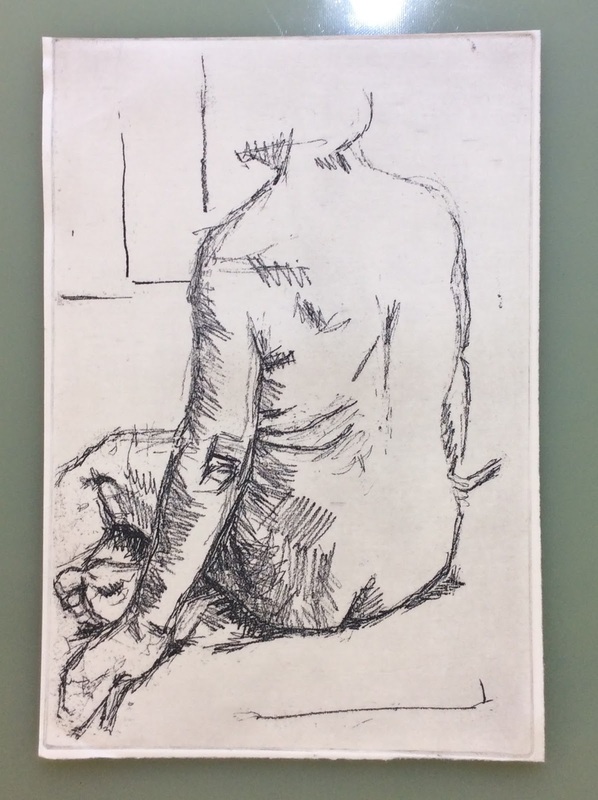 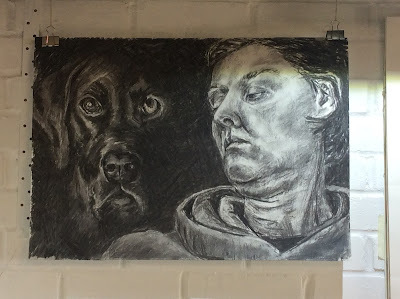 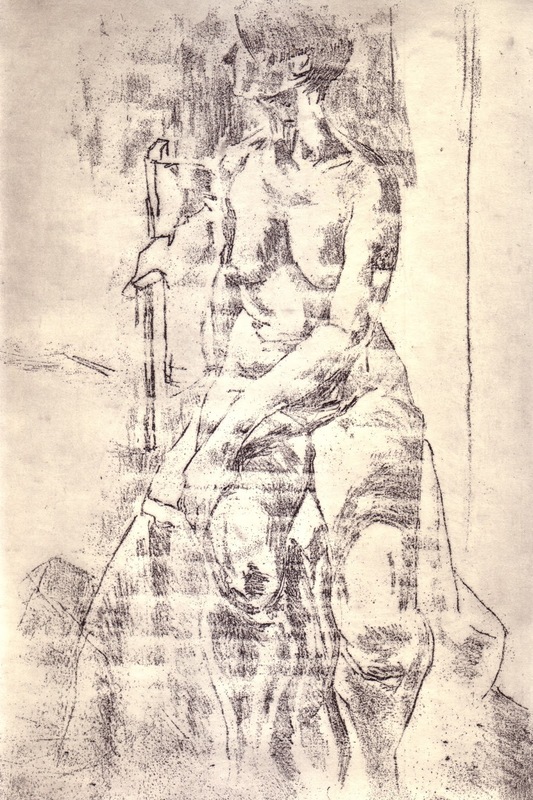 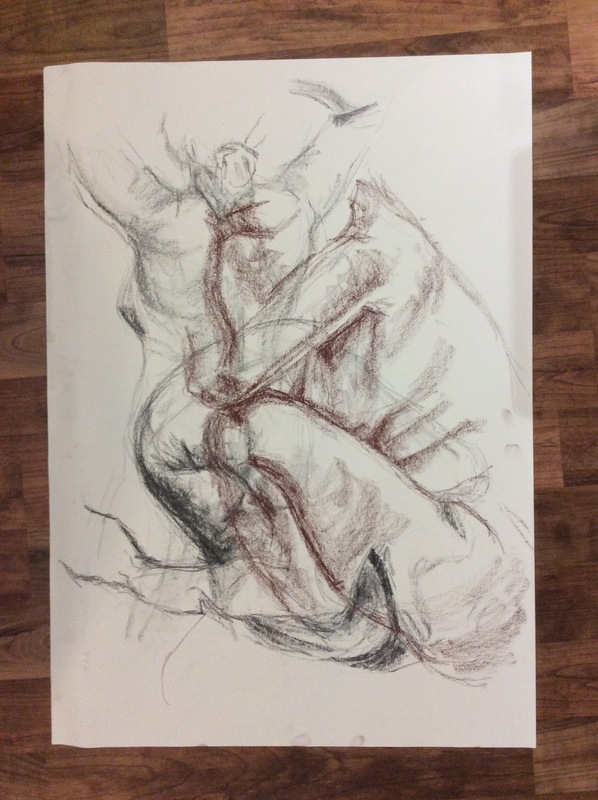 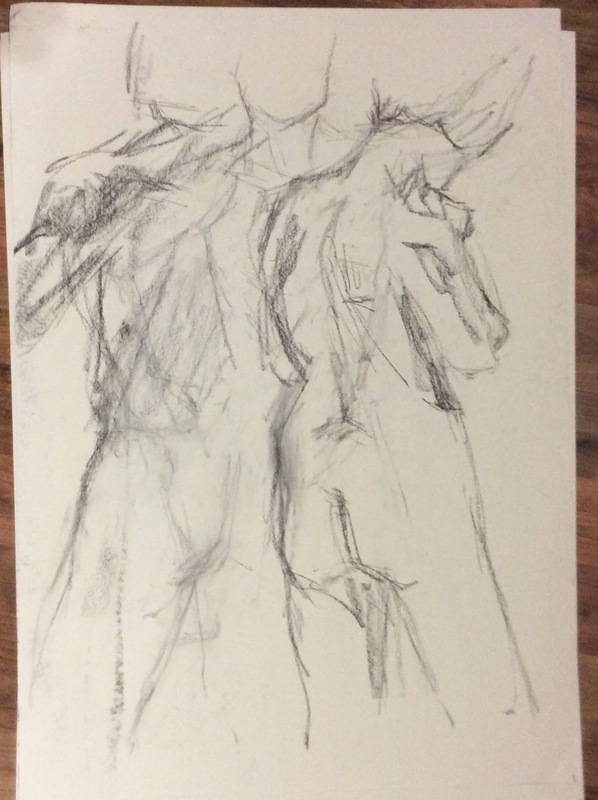 Looking through my drawings from recent life sessions, there were a couple that looked like they might work well as soft ground etchings. The above is just two states; the first on soft ground drawn through tissue paper and the second, contrast strengthened with a hard ground line etch. 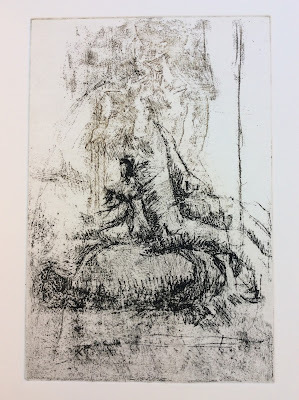 The etching solution was practically dead so although the first state on soft ground was in the bath for nearly an hour and a half, it came out fairly light. 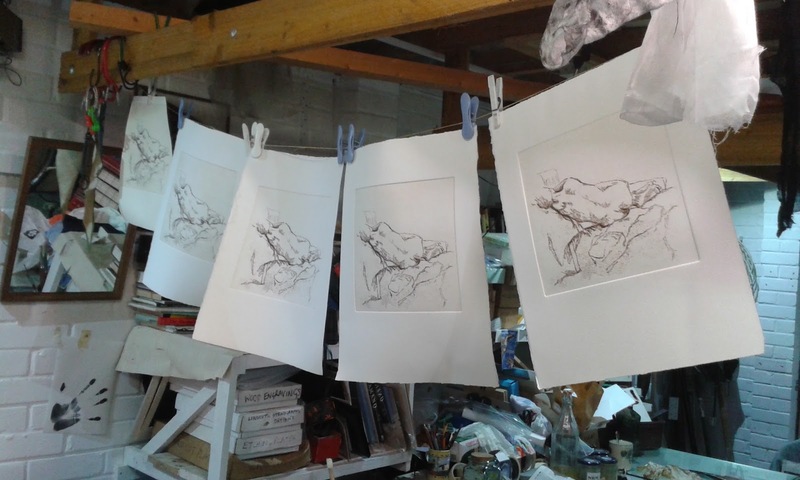 I mixed up a new batch straightaway though so hopefully the next one will be stronger - and quicker! I was going to tinker further with the image but actually, I decided I quite like the spareness of it and printed up a few in a warm dark brown. 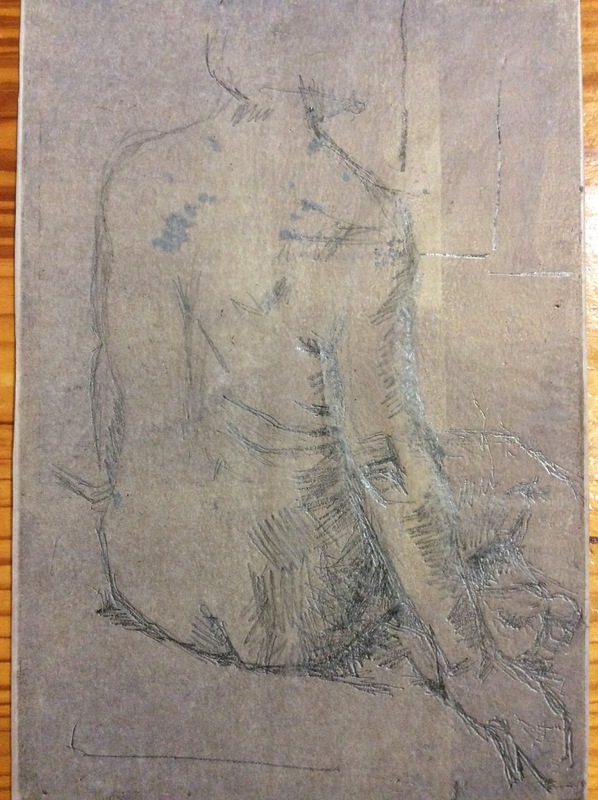 It was so good to be etching again. 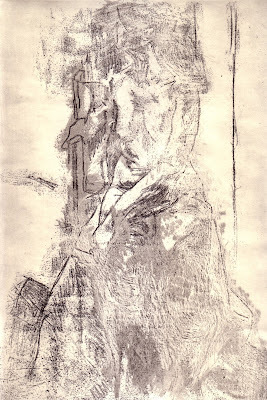 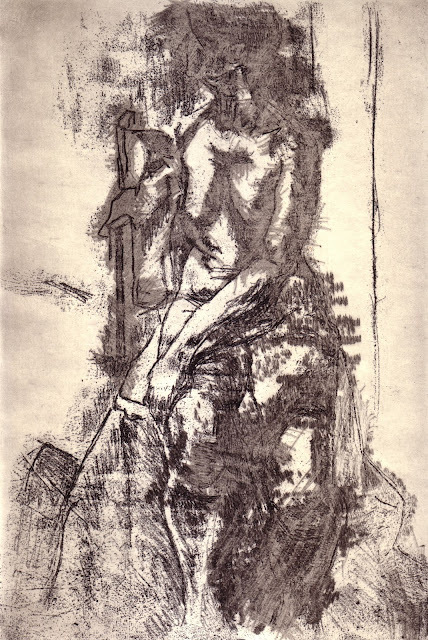 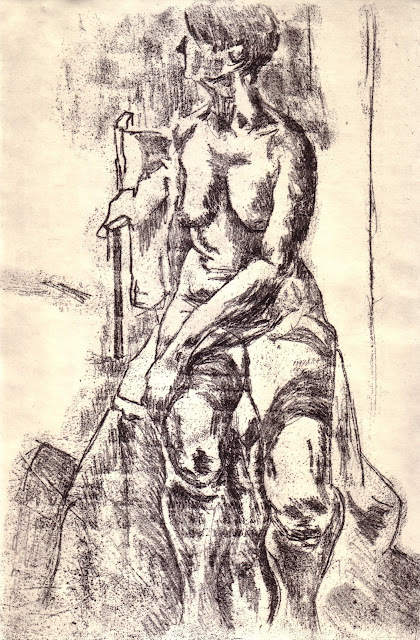 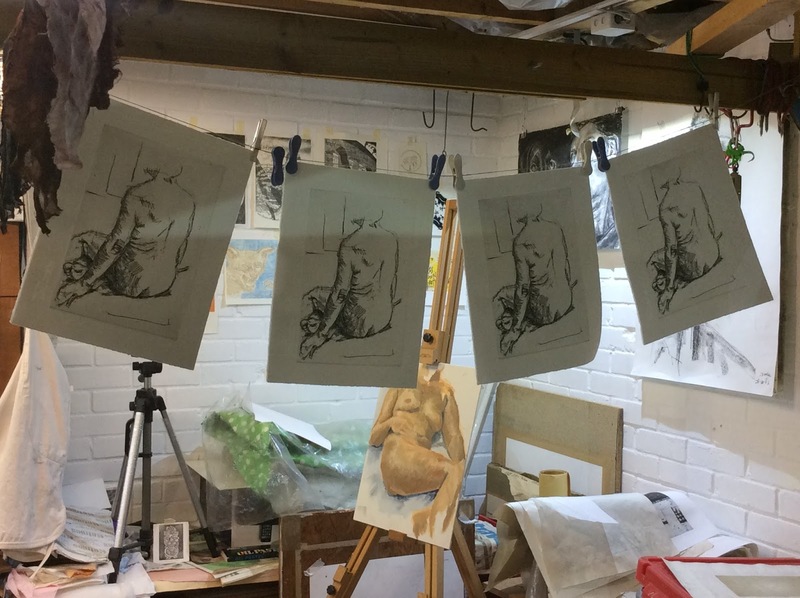 Hang up my printmaker's apron? 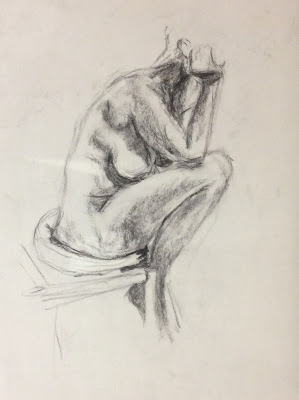 Who was I kidding! I am powerless to resist the lure of ink on metal. 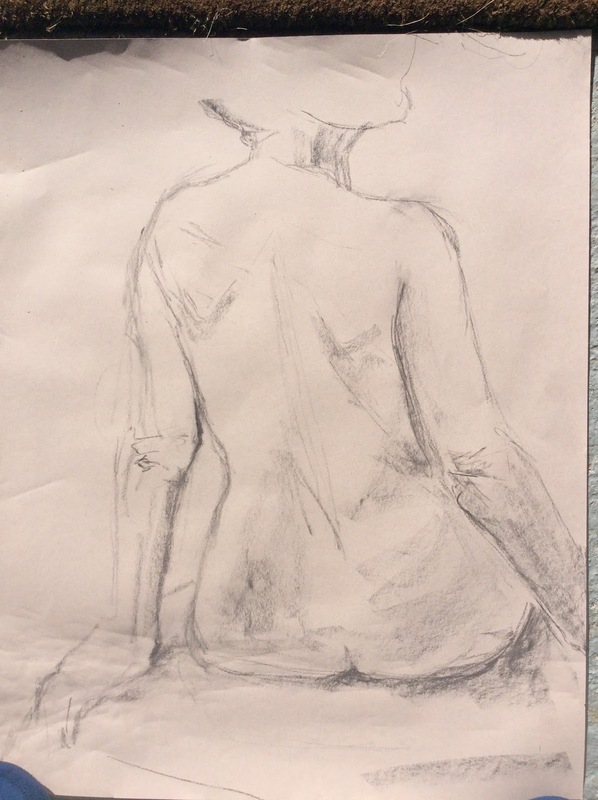 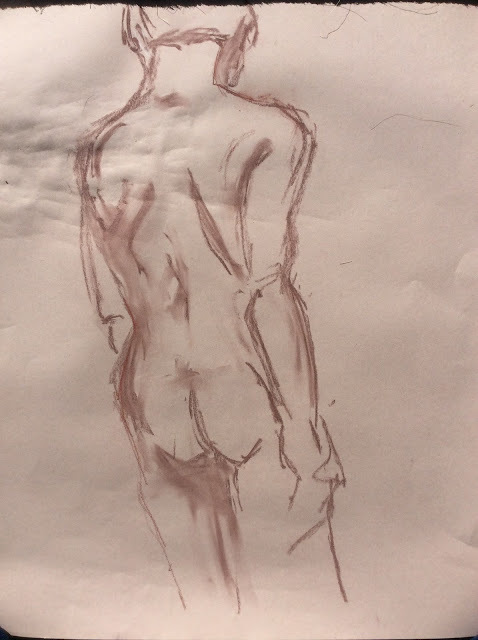 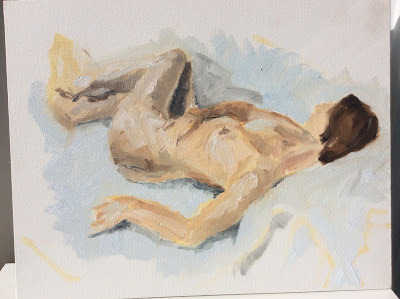 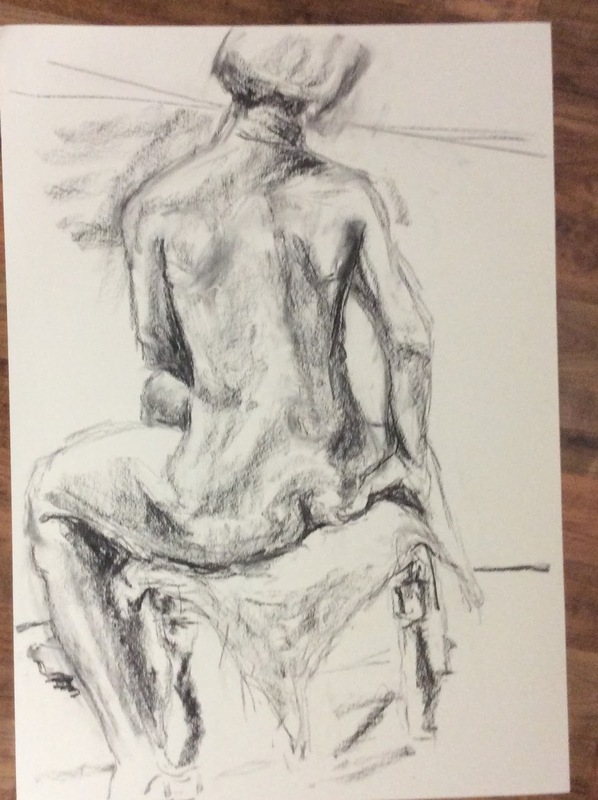 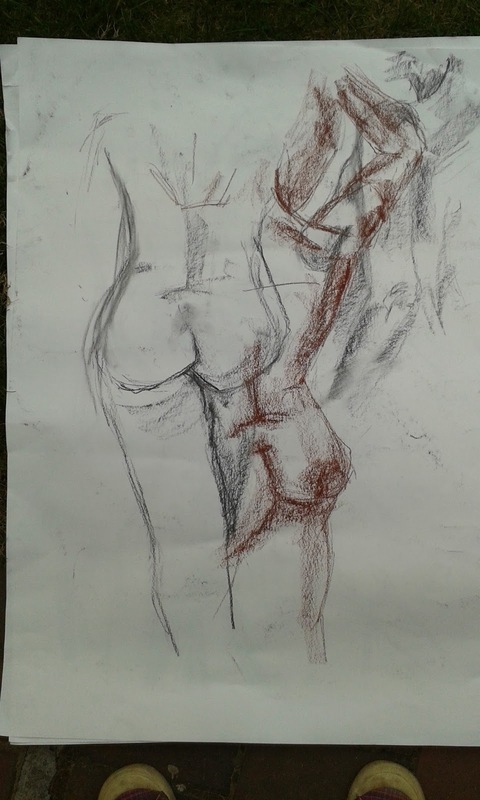 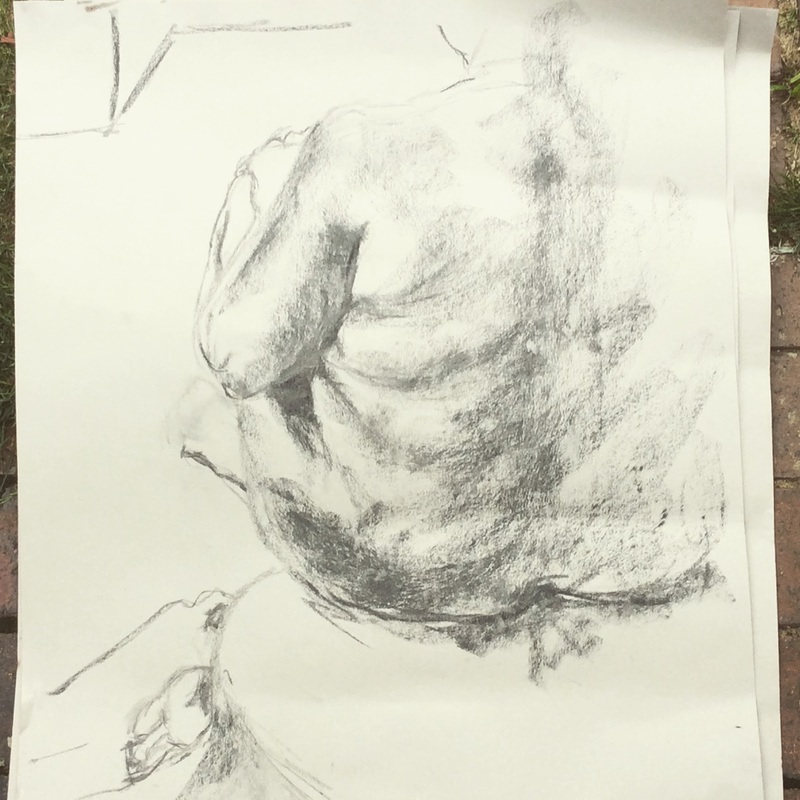 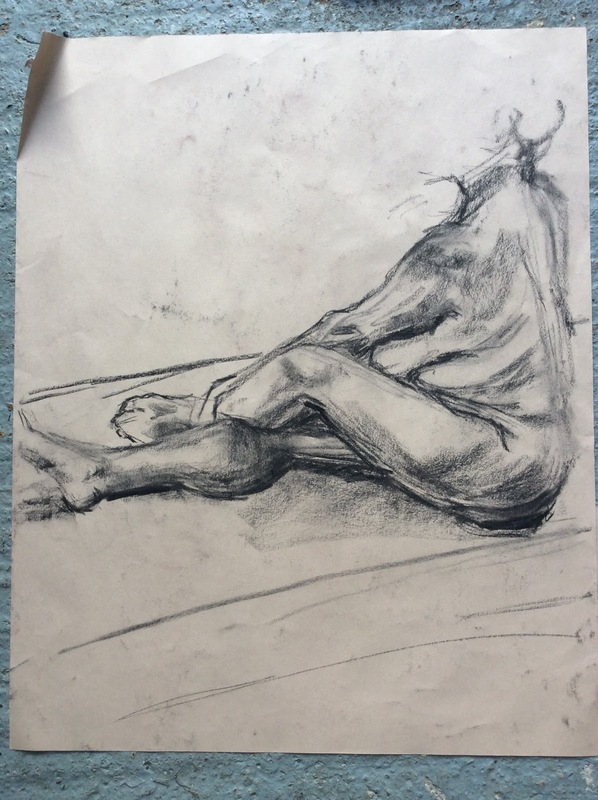 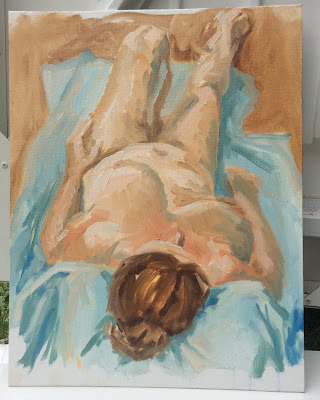 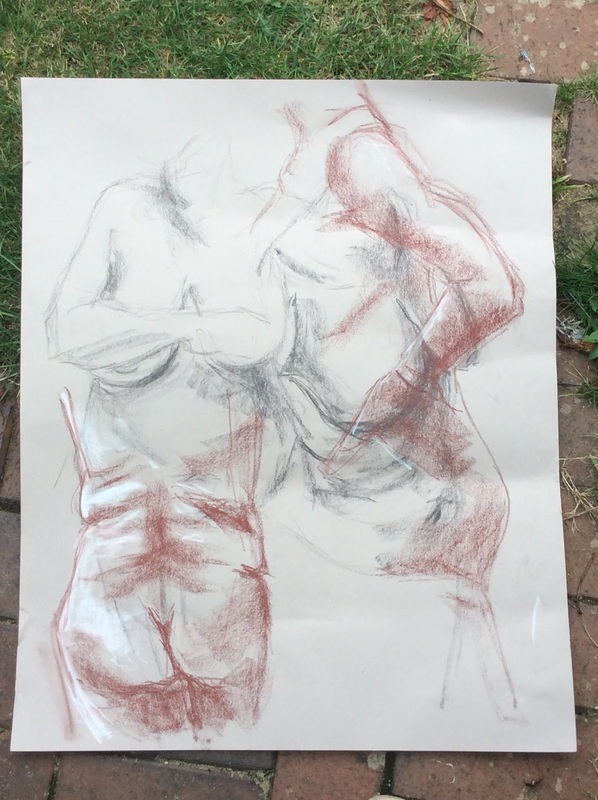 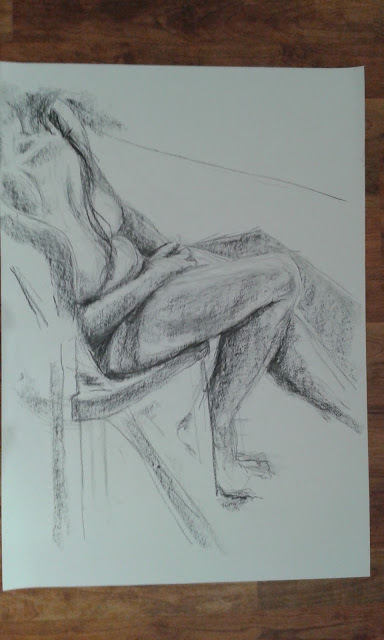 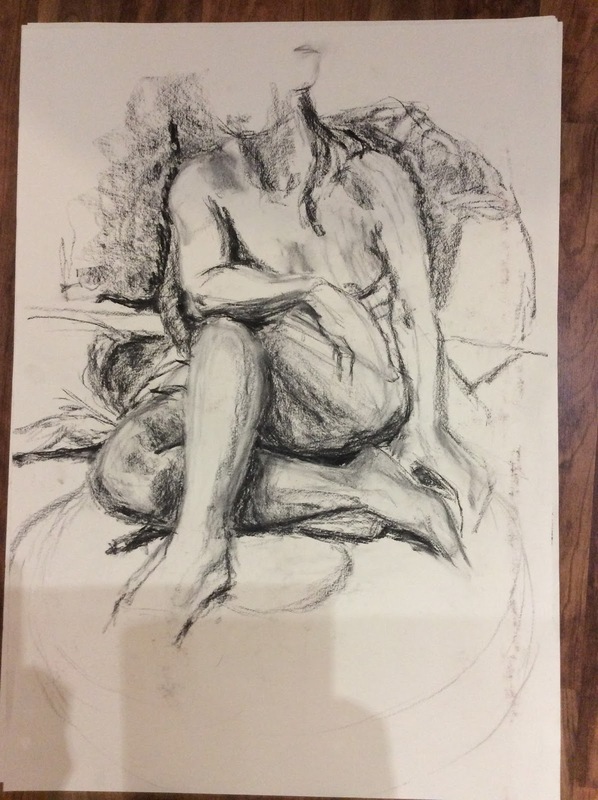 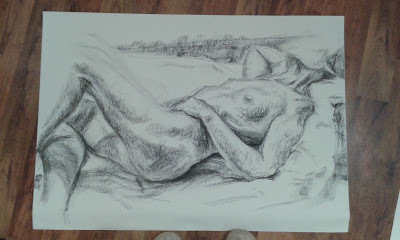 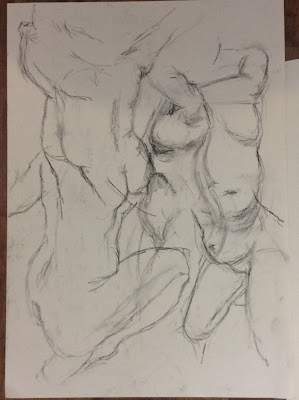 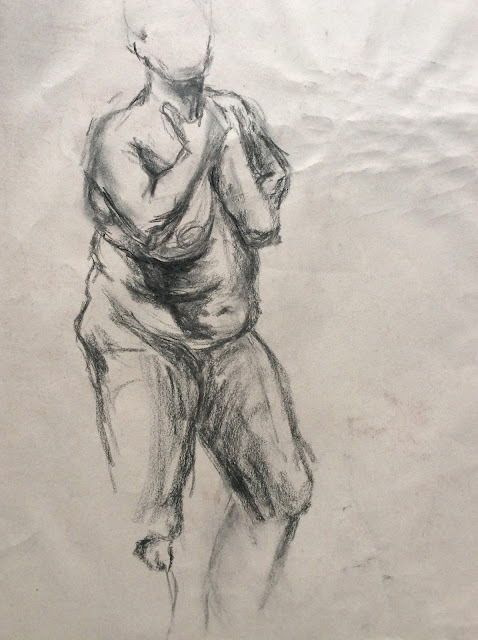 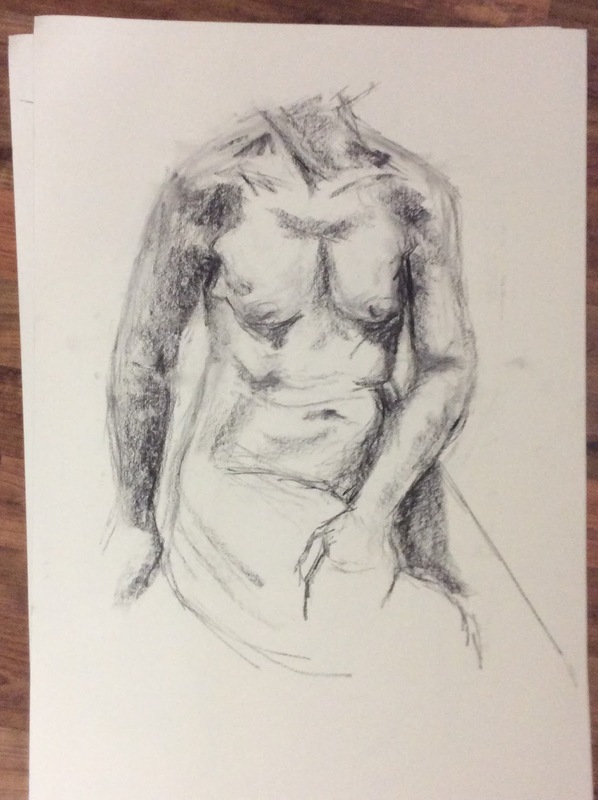 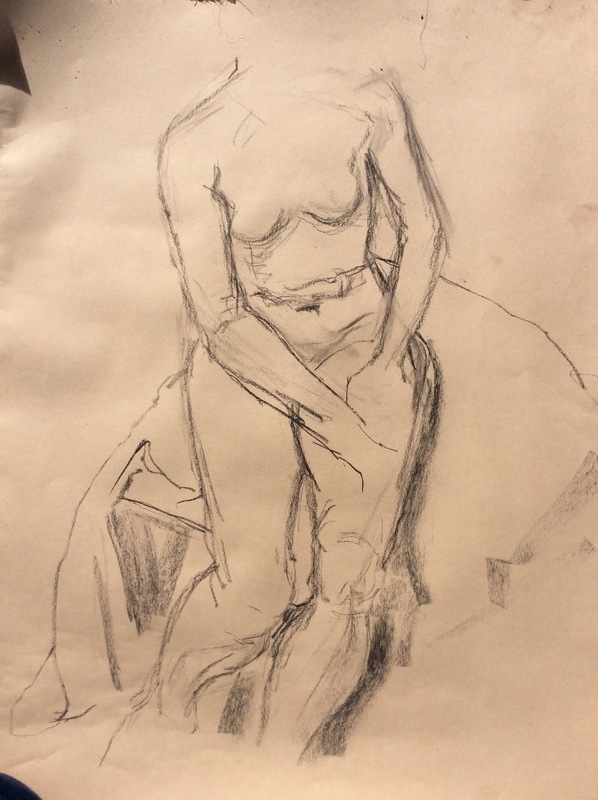 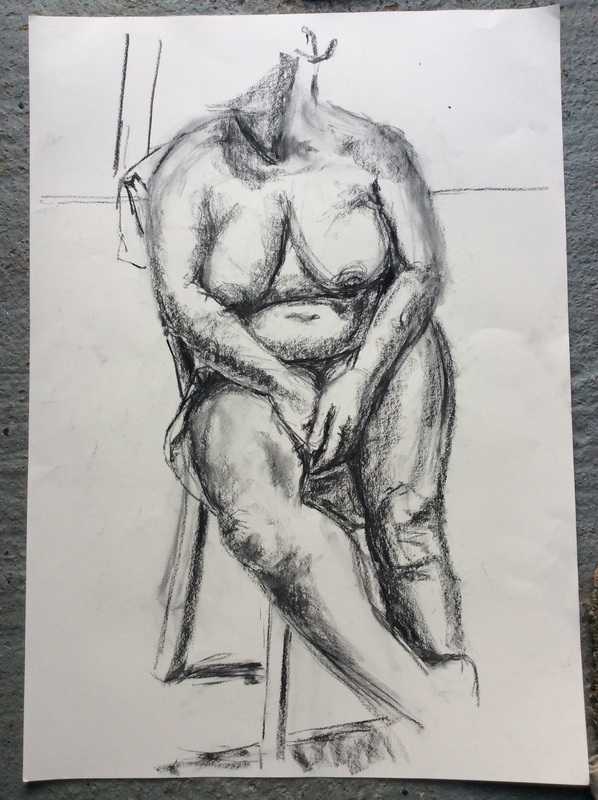 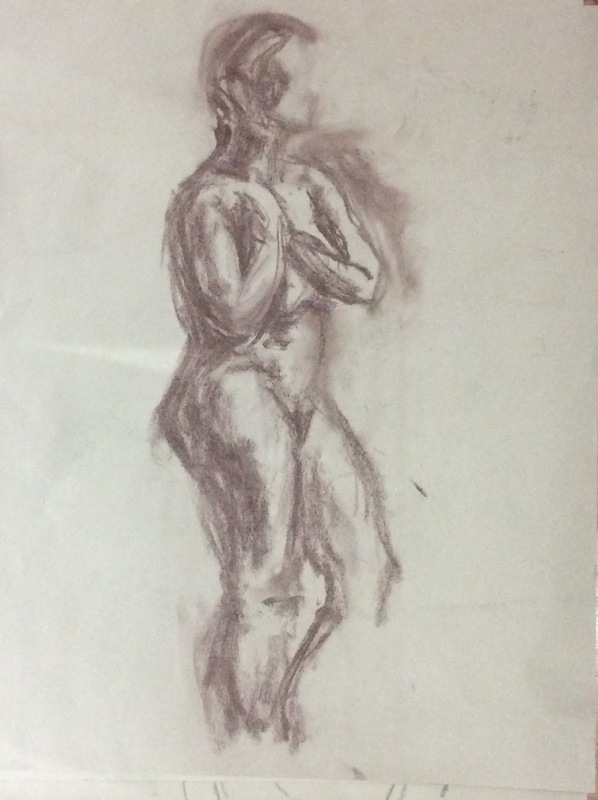 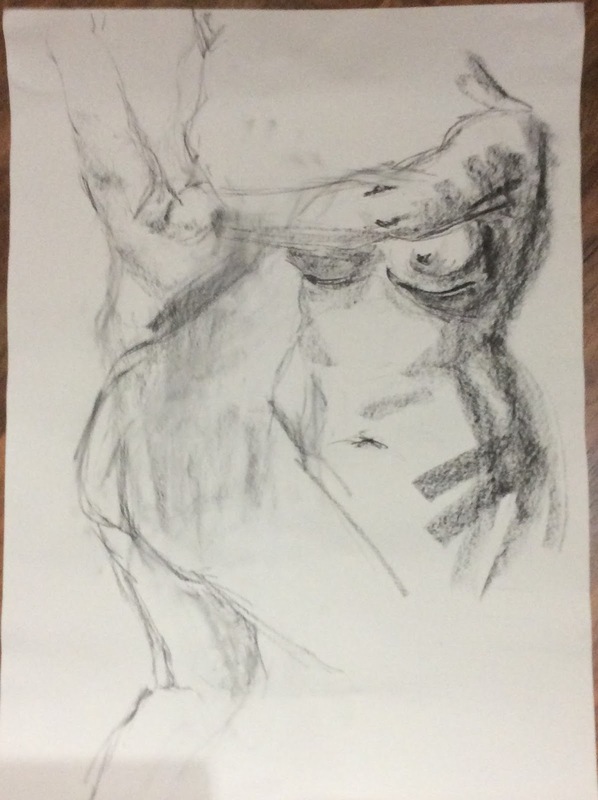 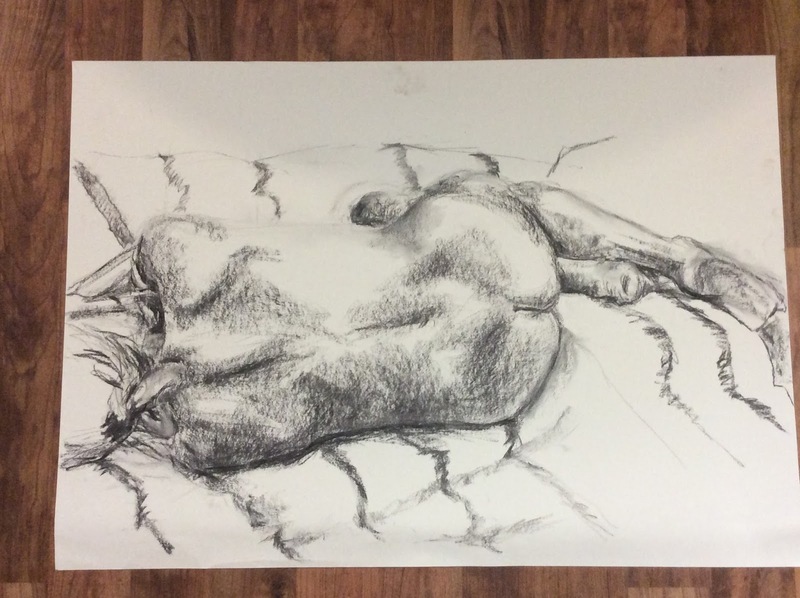 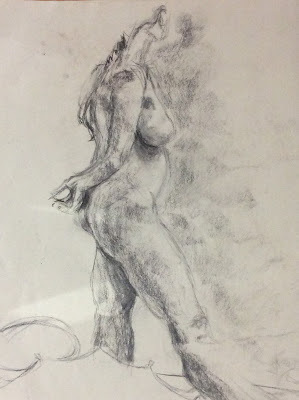 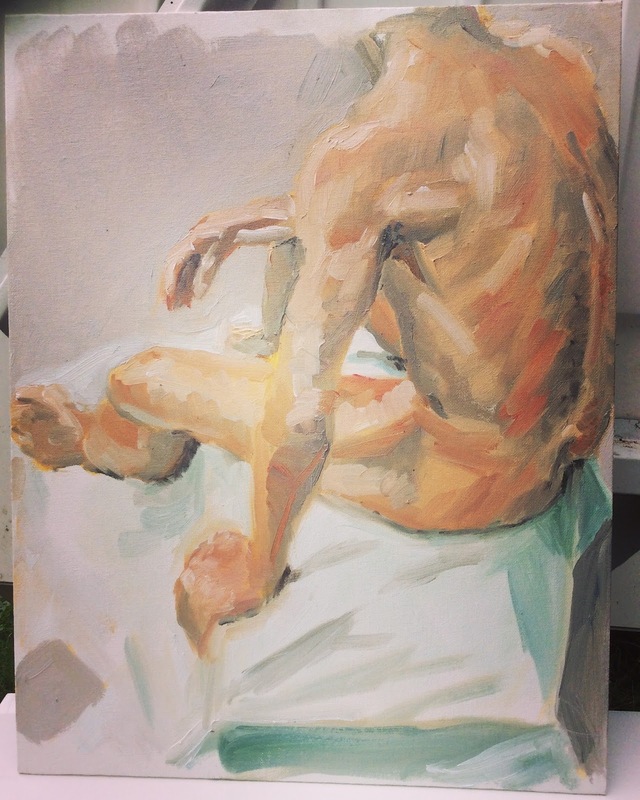 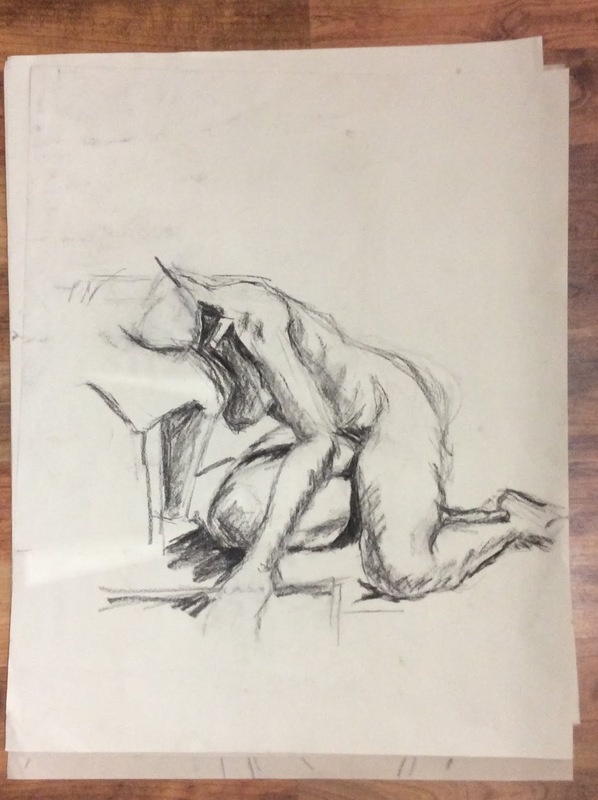 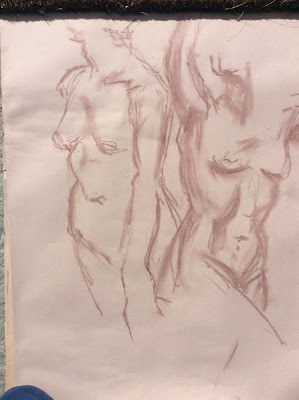 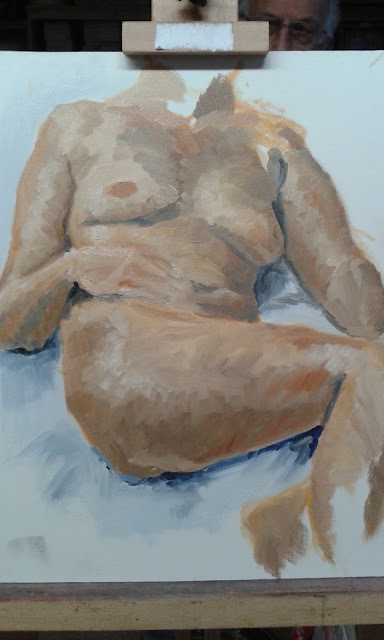 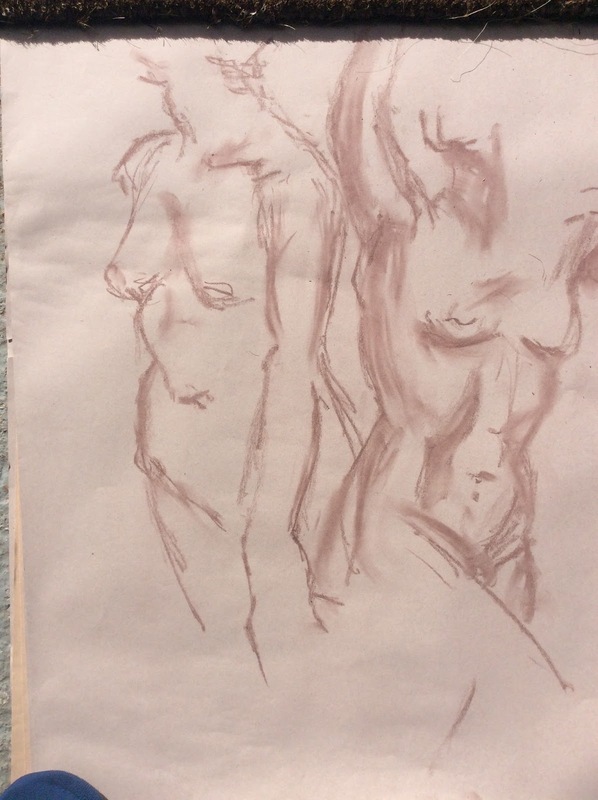 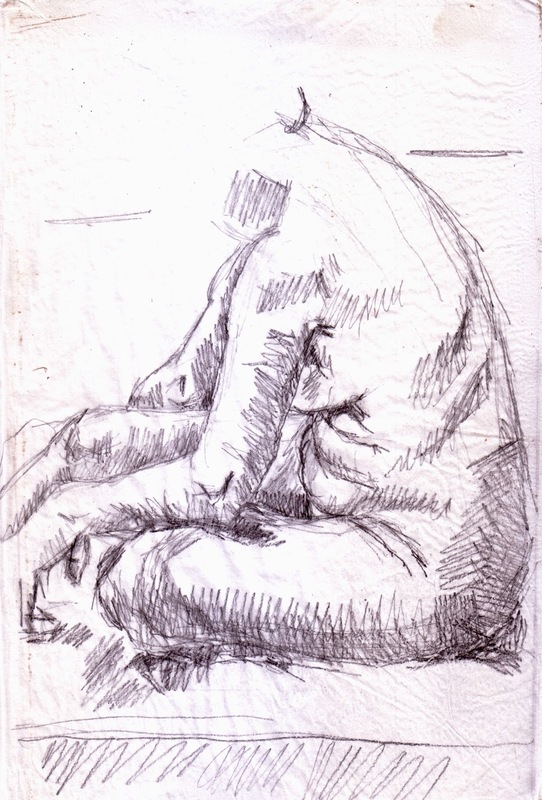 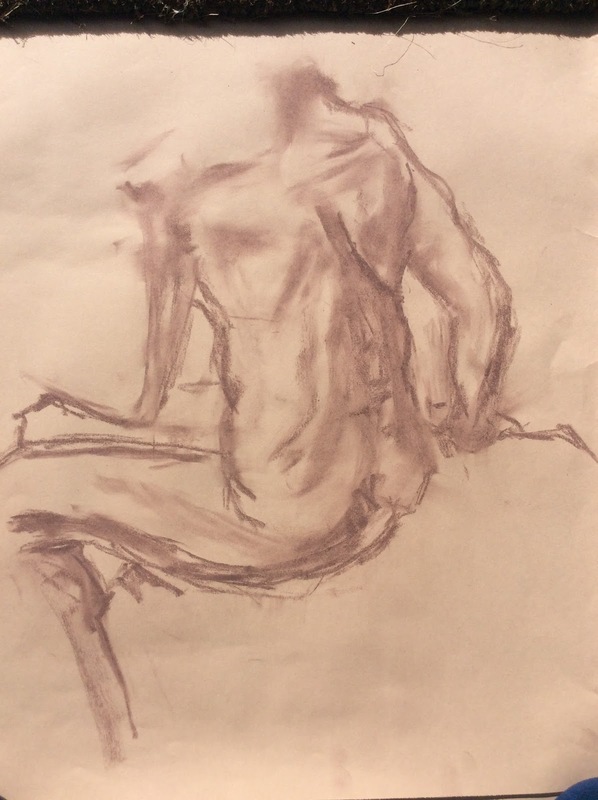 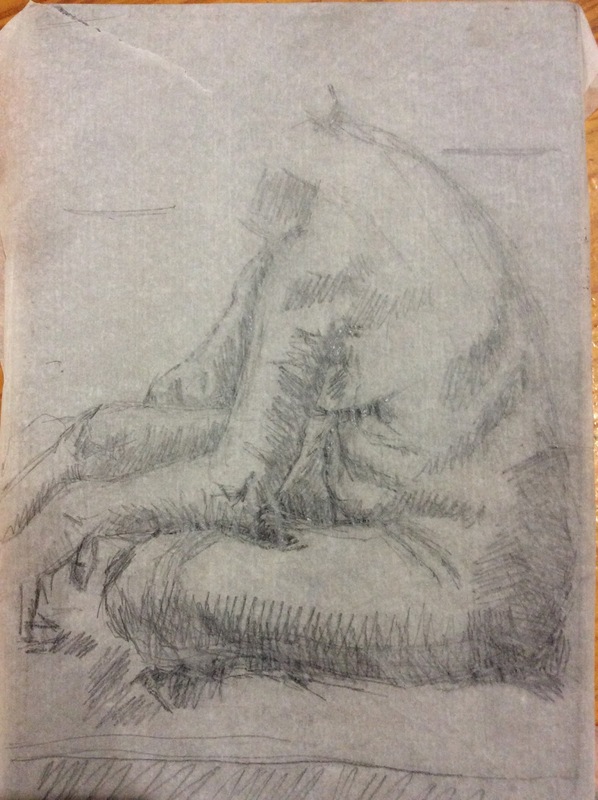 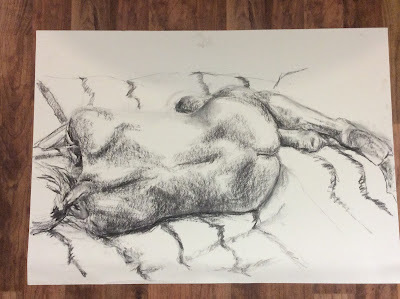 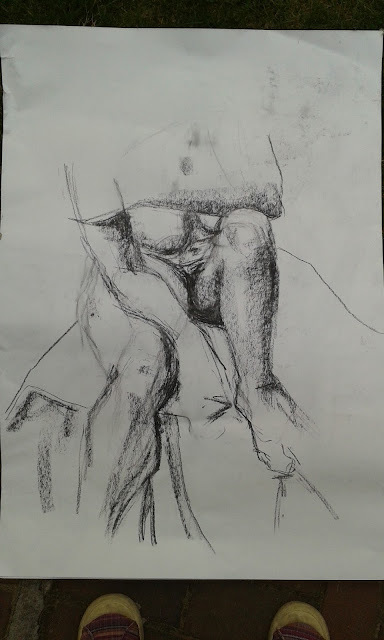 Here are my latest offerings from Tuesday life drawing. Not a great week. 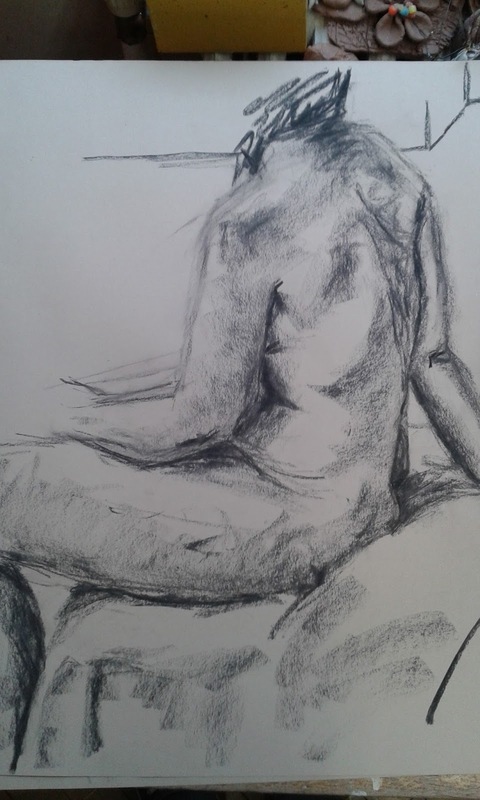 Had a good session at the art gallery yesterday. 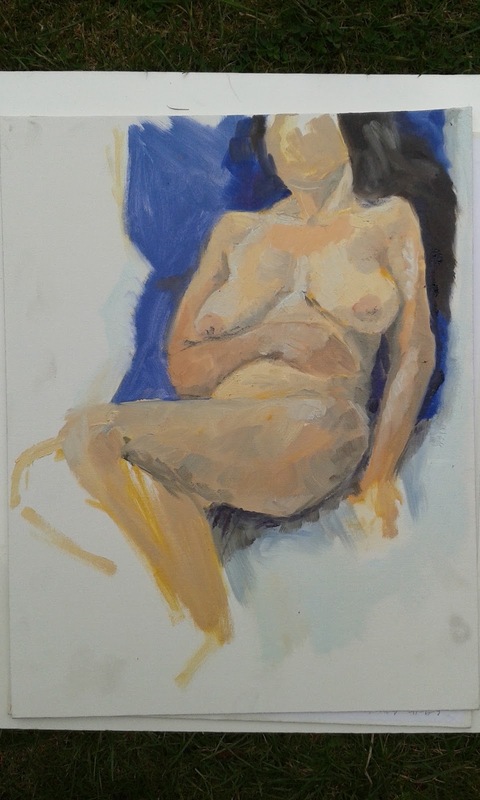 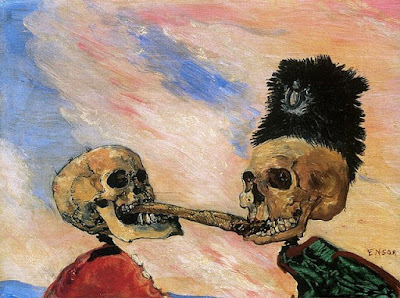 My tutor suggested I use a limited palette of four colours: blue black, white, burnt sienna and yellow ochre. I was a bit sceptical of my ability to do anything useful with just those four colours but actually, I was really pleased with the result. 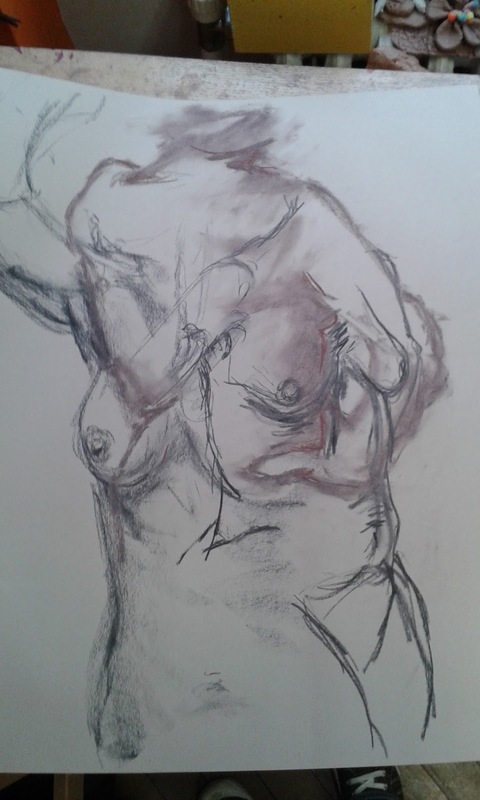 It's not a good photograph - doesnt show the colours as they actually are. 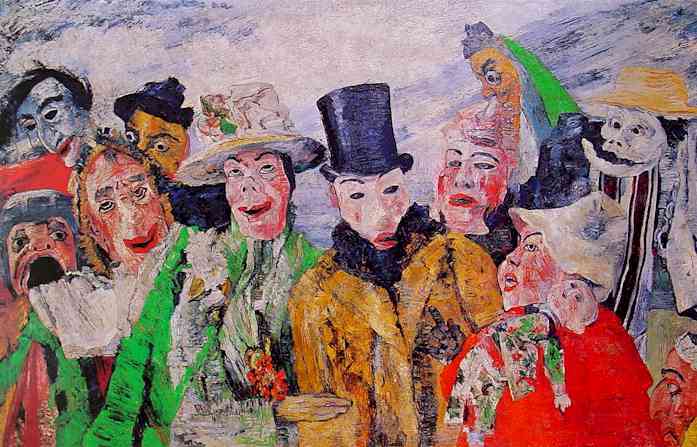 I also tried to work from dark to light as I tend to make my paintings very pale to start with. I faff for ages with too subtle a range of tones, then have to wallop in a load of dark tones just before time's up. not a good way to work.